Aeroflow Healthcare employees volunteer at the Marjorie McCune Memorial Center for an afternoon of fun with the residents. Volunteers and residents participating in a fun game of Bingo. 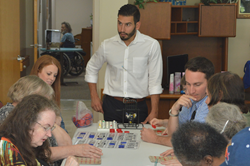 Aeroflow Healthcare employees joined the residents at the Marjorie McCune Memorial Center for an afternoon of Bingo fun. 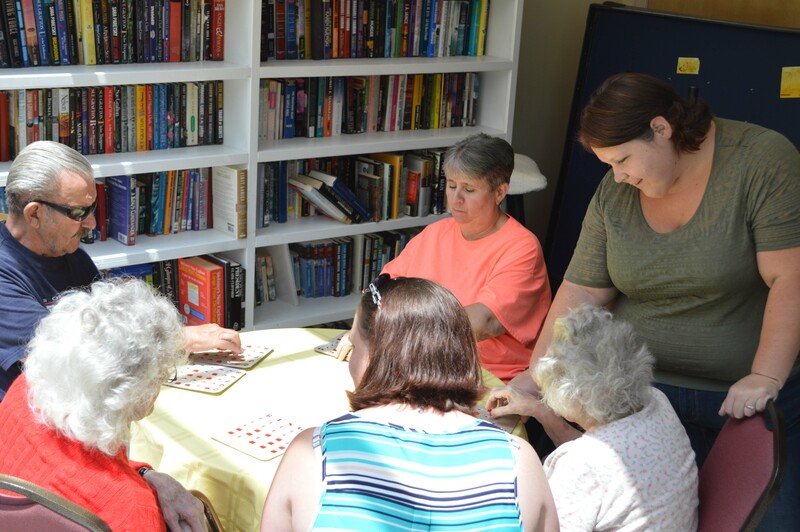 A group of volunteers from Aeroflow Healthcare assisted the residents with an afternoon of entertainment with games and prizes. The residents enjoyed the smiling faces of the volunteers as they competed in friendly games of Bingo. The Marjorie McCune Memorial Center is an assisted and independent adult care facility. The quality care center is located in Black Mountain, NC and is operated by the Lions of Western North Carolina. The Aeroflow Community Outreach group was designed so the company can be more engaged in local programs and to improve community involvement. The community outreach program is planning to help out with more local events throughout the year. Aeroflow Healthcare was founded Asheville, NC in 2001, as a home oxygen provider, and has since grown as one of the leading durable medical providers nationwide. Aeroflow is an accredited Medicare and Medicaid provider and accepts most commercial insurances. If you have any questions about Aeroflow Healthcare’s volunteering programs, or if you have interest in their durable medical services, you can reach them by calling (888) 345-1780 or visiting http://www.aeroflowinc.com. Residents of the Marjorie McCune Memorial Center winning some prizes.